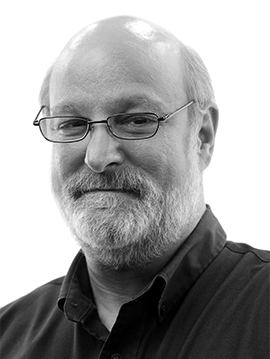 The following is a guest post by Dr. Darrell L. Bock. Dr. Bock serves as the Executive Director of Cultural Engagement and Senior Research Professor of New Testament Studies at Dallas Theological Seminary, and is the author of a two-volume commentary on Luke, a commentary on the book of Acts, along with books on The Da Vinci Code, challenges to the historical Jesus, and the claims of Bart Ehrman. 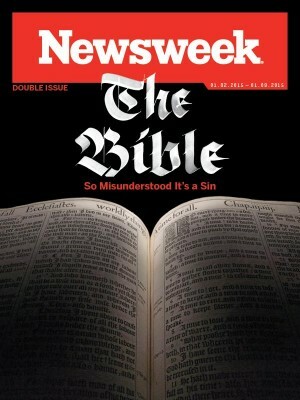 I let a week pass before deciding to write about Newsweek‘s latest take on the Bible, an article called “The Bible So Misunderstood It’s a Sin,” by Kurt Eichenwald, a former investigative reporter for the New York Times. I have been asked about it by email. I have decided to go one section at a time through the article, so this will start a series of responses with four parts. Now one thing not to do is be angry about it, treat it as a screed (since it clearly has a bias as it makes its “case”), and miss the fact that what is written here is how many are told the Bible works and what many who engage with the Bible today think about it. Since this is a national news magazine, a calm response of substance is needed. Having said this, I do have to note that of my many experiences with national media, it has been consistently the case that Newsweek has been among the least responsible in handling issues tied to the Christian faith. The one exception to this was Jon Meachum, the former editor, whose articles did seek to raise issues with some sense of balance and respect for the complexities of doing work in ancient sources. My own Breaking the Da Vinci Code was written because of my frustration with a multiple-hour interview with the magazine’s reporters (two of them on separate occasions) where I pointed out well-known flaws with the novel’s alleged historical background claims that never got even a sentence’s mention. My story in this case was not isolated. They also interviewed my Catholic friend, Francis Moloney, Dean of the Catholic University at the time, who made the same points I did in interviews that ran an equal length. They did not print a word of what he said either. A series of witnesses to an opposite point of view apparently is not worth reporting. Part of what we are seeing is not only the annual Christmas and Easter articles saying what Christianity has taught is not what “scholarly” history shows nor is it in the least bit credible, but it is done with a kind of tribalism in reporting that engages in complete silence about any counter perspective. In noting this, I am pointing to a trend that exists on all sides of these kinds of debates. The tribalism approach on all sides is part of what contributes to the historical and biblical illiteracy the article complains about in its opening. This problem runs across the idealogical spectrum of discussion on these issues. Unfortunately the article’s approach to this discussion is no antidote to that problem. In fact, it reinforces it. So let’s go through this piece one issue at a time. Let’s start with what is said about the actual text we have. For this I could just cite the response of my colleague, Dan Wallace, who has spent his life investigating and photographing the very manuscript evidence this article raises as so untrustworthy. Dan correctly opens up saying the issue is not the fact that Eichenwald asks hard questions. The Bible makes such important claims, so such questions should be asked. It is the way he answers them that is the problem. Dan also shows how the nature of the issues Eichenwald makes about our manuscripts does not lead to Eichenwald’s conclusions. I leave the Textual Criticism side of the argument to Dan’s piece. Eichenwald’s way in is to cite Bart Ehrman, whom he calls a ground-breaking New Testament scholar. Now Bart himself has said that what he writes is a reflection of current discussion that has been around a long time. He and I have debated over the radiom where he made this statement to me as something I was well aware of, something I also affirmed at the time. The views presented (including the appeal to the telephone game as Erhman’s illustration for how poorly copies were passed on) are but one take on these issues that are argued pro and con in the public scholarly square. This hardly makes him a ground-breaking source. Ehrman is a spokesperson, a very competent one, for one take on all of this. But the article even uses his material extremely selectively. Here is another quotation Ehrman makes on this topic: “Essential Christian beliefs are not affected by textual variants in the manuscript tradition of the New Testament.” What this means is that people on all sides recognize that what we have in the Bible, in terms of the core things it teaches, is a reflection of what made up these books originally. The caricature by Eichenwald that what we have in our hands has no resemblance to what was originally produced is misleading in the extreme, even considering the source the journalist uses to make his point. But there is more. This section of the article got my attention by an example it raised from Luke 3:16, a book in which I have spent my entire academic life. Eichenwald complains that the text has a literary problem in that John answers a question that the text never raises. He argues that the effort by later copyists in the fifth century to fix this conceptual problem in the text led some to attribute to John the Baptist an ability to read his audience’s mind that was not in the original. This example betrays two problems. (1) If we cannot know what the original was, then how can we complain about the variant? How do we even know it is a variant? I say this somewhat facetiously, but it does raise an issue inherent in the discussion. Unless we have some sense of what the original is likely to have been (something all textual critics believe is something that can be pursued), we cannot even raise questions of assessment. (2) Even more problematic is the literary insensitivity the objection has. In Luke 3:15 the crowd is speculating as a group that John the Baptist might be the Christ. There is a public-square question on the table. When the text says succinctly, John “answered,” it is not a specific question he is responding to (which is what Eichenwald thinks is required) but to the general and expressed speculation: a publicly raised question that opens the door for a reply. There is nothing at all problematic about the text as it stands. 1.3. On the Issues Tied to Orality: Is It the Telephone Game? The area of discussion this section also raises has to do with how accounts were passed on in the ancient world when manuscript writing was rare and orality was the norm, in part because when it came to events, the accounts were rooted in those who were alive and could testify to what took place was valued in ancient culture, something Papias tells us in the second century. The telephone game analogy (where such reports can go anywhere) has been countered by two other models: one rabbinic and the other community based. The rabbinic model shows that when a community cares about the content, it can pass it on and recall it with a high degree of accuracy. This passing on is overseen in a way that protects its core content from deviation. Although this is the main model put forward by some, it also has a problem in that the parallel accounts of what we have in Scripture when the same story is being told has enough variation in it that the exact standards this model implies are placed under some pressure. This leads us to the second approach: the community model. The argument here is that accounts people care about are passed on in such a way that the core or gist is passed on but allowance is given for some variation of detail. The most revealing illustration of this is how Luke retells Jesus’ appearing to Saul on the Damascus Road in Acts 9, 22 and 26. We know this is the same author, yet he retells the same story with a touch of variation that keeps the story somewhat fresh and not merely a repeated, boring, retell. This shows, culturally and at a literary level, how such passing on of accounts works. Now either of these other examples point to the fact that the telephone game example is flawed in terms of ancient culture when discussing accounts about which ancients have an interest in passing something on.